The Chevy Volt has been getting a lot of attention since GM decided to pause production for five weeks, due to growing inventory. And although sales of the Volt this year are not off to a great start in the U.S, the Volt’s better-looking twin, the Opel Ampera, is apparently doing quite well in Europe according to Opel executives. 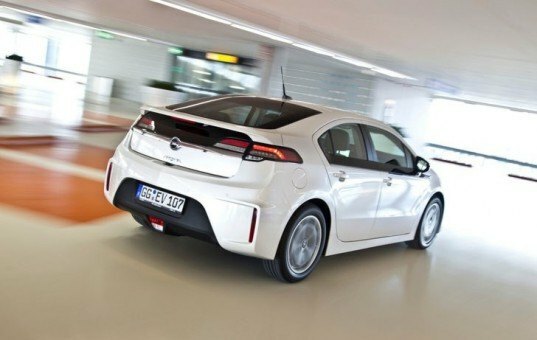 Opel just started delivering Amperas to customers last month, and has already received over 7,000 orders, which means that the Ampera should hit its sales target of 10,000 units. Opel apparently bumped up its 2012 sales target to 10,000 from 8,000 due to the increased demand. On the outside, the Opel Ampera and Chevy Volt are pretty much identical with the exception of the Ampera’s “boomerang” headlights and slightly tweaked rear end. On the inside the only major difference is the Opel badge on the steering wheel. But there is one other big difference that the guys over at Translogic recently uncovered between the Volt and Ampera. The Chevy Volt has three driver-selectable driving modes: normal, sport and mountain. The Ampera gets a fourth mode: Halten mode otherwise known as “battery hold.” This additional mode allows drivers to limit the use of the battery while traveling at high speeds, like on Germany’s Autobahn. By only using the four-cylinder engine in this mode, the battery’s power is reserved for use at slower speeds. It’s not really known why the Volt does not have this fourth mode, but government regulations may be the reason. Would this fourth driving mode, combined with a better sportier face help turn around the Volt’s sales here in the U.S.? Well at least Volt sales are showing some signs of recovery after the NHTSA investigation earlier this year. Last month, Chevy sold 1,023 units compared to 603 Volts in January. The Chevy Volt has been getting a lot of attention since GM decided to pause production for five weeks, due to growing inventory. 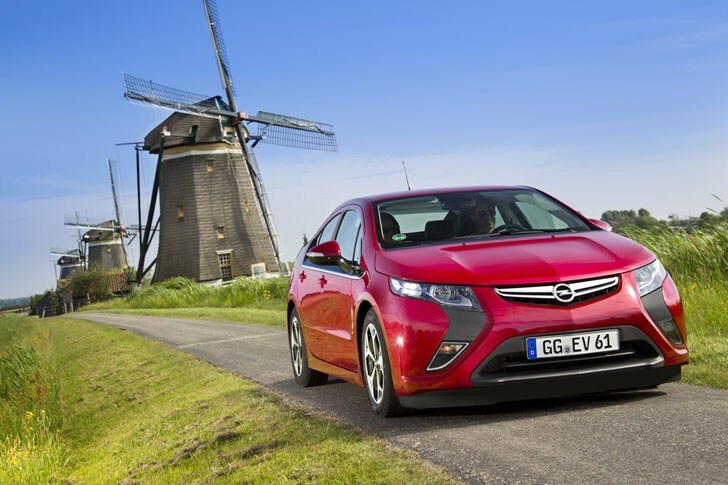 And although sales of the Volt this year are not off to a great start in the U.S, the Volt's better-looking twin, the Opel Ampera, is apparently doing quite well in Europe according to Opel executives. Opel just started delivering Amperas to customers last month, and has already received over 7,000 orders, which means that the Ampera should hit its sales target of 10,000 units. Opel apparently bumped up its 2012 sales target to 10,000 from 8,000 due to the increased demand.